The mountainous kingdom of Bhutan is a climbers paradise. Located at the eastern end of the Himalayas, it has numerous summits over 7000 metres. But if you plan on checking any of these peaks off your bucket list, you´ll unfortunately have to make other plans. And spiritual beliefs is the reason why. No more than 209 000 tourists visited Bhutan in 2016. More than half of these were from the region. 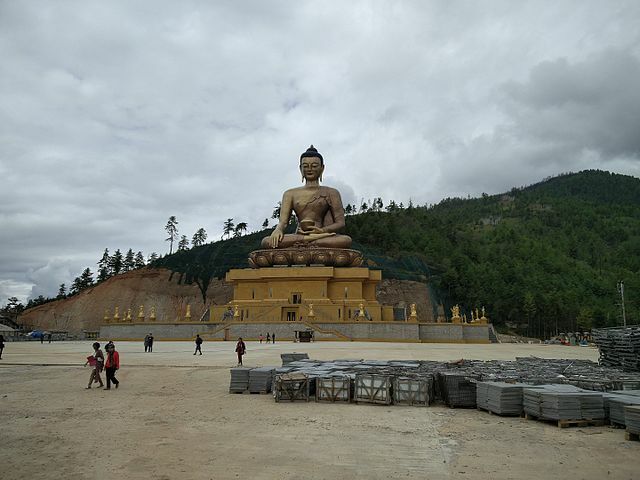 It was an increase from before, but Bhutan is trying to maintain their culture and are limiting the number of tourists. In order to do so they have introduced high rates to avoid the backpackers and attract wealthy tourists. A fee of 250-290 USD per day per person is required from all visitors. 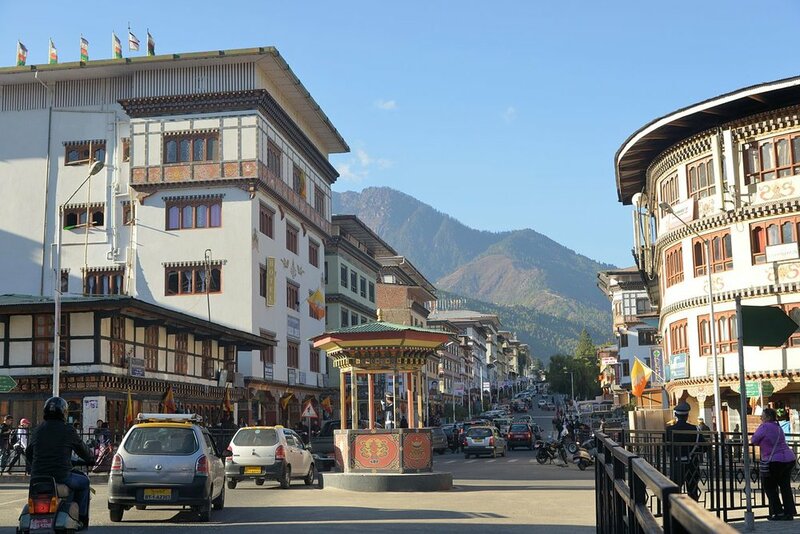 This includes accommodation, meals, a driver and a guide and is part of a prepaid package you book through a Bhutanese tour company or one of their international partners. This will give you approval for the visa. It´s tricky to visit this isolated country, but this is the only way to do it since independent traveling is not allowed. You may be pleased to know that apart from the 70% of the prepaid package that covers your own expenses, the remaining 30% goes to fund Bhutanese free education, free medical, improving infrastructure etc. The Bhutanese people wasn´t introduced to television until 1999. Killing animals for consumption is against the law. The streets are filled with cows and yaks and rivers are packed with fish. But for religious reasons they will not end up on a plate. Most Bhutanese people are not vegetarians, but rely on imported meat. Development is not measured in terms of the Gross Domestic Product like for the rest of us, but by Gross National Happiness. This is more in agreement with the spirituality of a Buddhist society than western capitalist values. There are no traffic signs in Bhutan. Even though they tried it for a short while, the people demanded the traffic police back. So in the middle of the capital city Thimphu´s busiest road junction they have a booth with a police officer directing the traffic. Plastic bags has been banned in this eco-friendly country since 1999. Cigarettes are also banned and public smoking is illegal. Alcohol is not, although Thimphu has a limited choice of bars. But there´s a Mexican restaurant, an Italian restaurant and a Swiss bakery. And several internet cafés. If you dream of visiting this isolated country, the nightlife is probably not your primary motivation. But it´s nice to know you´ll be able to get online.